A security expert has warned that smartphone users should switch off their location settings if they are worried about their privacy and how their data is shared. 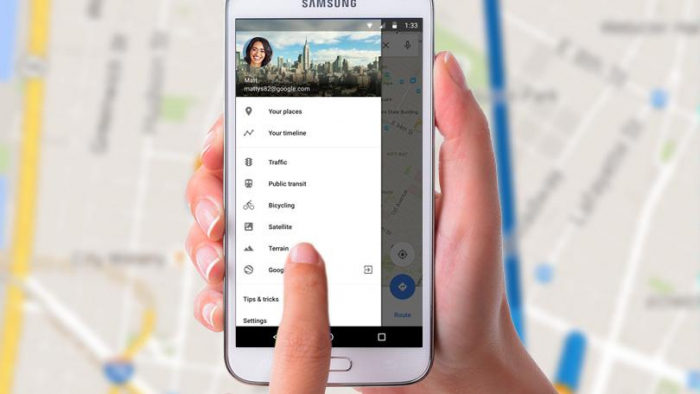 Apps like Google Maps, City Mapper and Uber use your location to track where you are when you need directions, book a taxi or see when the next bus or train is. But a number of companies can use your location data even when you aren't using these apps because your location tracking is still enabled. Smartphone users must turn off all tracking of web and app activity, he warns, to ensure their privacy - but this may impact how the apps function. Paul Bischoff, a privacy advocate at Comparitech.com, says that companies could be selling this location information to third parties. His analysis showed that these companies collect location data, but do not necessarily reveal how the data will be used, a point often hidden in lengthy privacy policies. Mr Bischoff warned people to disabled the tracking services when they are not in use to stop these companies harvesting your data. He told Fox News: 'Companies use IP addresses, advertising IDs, and cookies to track users and store details about their online behaviours, browsing history, searches, purchases, viewing habits, and more. 'Remember that Google is a bit sneaky in this regard, as some apps collect location data even if your location history is disabled. The report said that hundreds of popular apps sell our data to advertisers, retail firms and hedge funds to gain an insight into consumer behaviour. The data makes it easy to discern how long a person spends in one particular location, their typical day-to-day routine and more information. Many are hoping to tap into the lucrative location-targeted advertising market, which is expected to be worth some £16 billion ($21 bn) this year. The findings raised both privacy and security concerns as advocates say many users are unaware how much they're being tracked. More than 1,000 apps contain location-sharing code created by companies who share it with advertisers, according to the Times.